Brainwork: research and ideation workshop for social good is an event we hosted for our CSR beneficiaries. The idea was to bring a group of creatives under one roof and let them do what they’re best at – design, research and innovate. We matched User Experience, marketing, business, and product professionals with representatives of our beneficiaries to create teams working on topics they selected. Brainwork 2018 produced great results that the participating NGOs have benefited from. Depending on the assumed outcome of the workshop, participants can consist of business stakeholders, product target audience representatives, or a mix of both. Additionally, Objectivity User Experience Specialists can join these groups to consult design thinking methods and streamline the conversation. Every workshop is different, and they should be planned with consideration to the context and desired outcome. 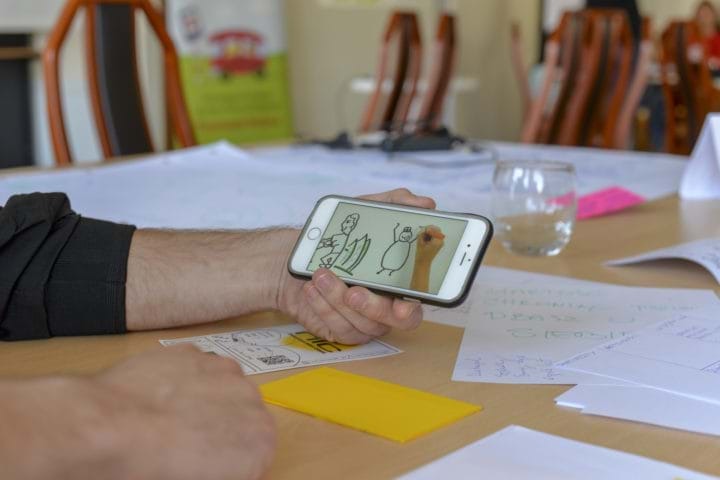 Therefore, before we approach clients looking for design thinking workshops, we try to establish the objective of the exercise and the reality which the outcome will need to apply to. Some workshops need more induction before we can get our team engaged. In these cases, it may be necessary to undertake an initial research session to provide facilitators with sufficient knowledge to be able to shape such a workshop in the most effective manner. 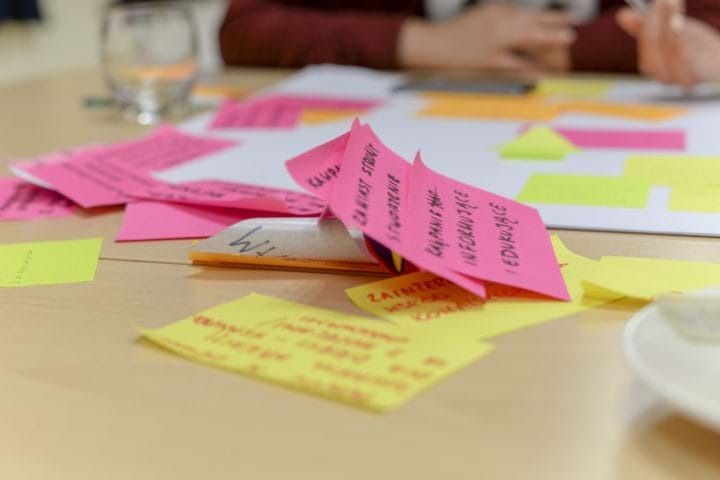 Since the design thinking workshop formula is broad, let’s look at some real use case examples of how design thinking can apply to business reality. If we want to get creative and look for potential innovations and/or problems to solve, we can set up a divergent thinking workshop in order to facilitate a set of activities that will create the perfect environment for participants to share information and develop new ideas. The time frame for such a workshop is flexible and can be adjusted to the level of detail desired for the workshop’s outcomes. Let’s say you need to design a landing page for a very important marketing campaign that can have a significant impact on your bottom line. If you need help putting together ideas and building a prototype in a cooperative matter, a design sprint approach is perfect for such situations. A design sprint is an exercise lasting three to five days, preceded by research with the target audience, in which key stakeholders and designers engage in creative exercises that are then prototyped and tested with end users. It is possible to combine the two approaches described above and engage in a more complex set of exercises focused firstly on defining a problem or innovation, then secondly on designing a prototype. As the desired outcome is a prototype, the design sprint phase should be preceded by target audience research to ensure that facilitators have a full understanding of the end user reality. Workshops with users are a great way to conduct research and design activities that heavily engage the target audience. Not only do they help us understand the users’ context, but they also open the door to creative use of ideas taken directly from the customers and/or employees who will use the software. Such activities can consist of ‘standalone’ workshops or they can be mixed and combined with the approaches described above. In addition, they can take the form of either a divergent thinking workshop or a design sprint. 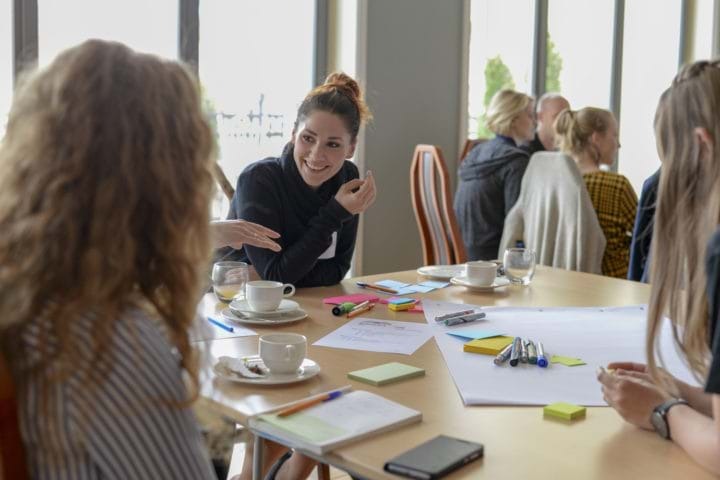 Workshops can be shaped to suit any need and there are many diverse forms of workshops and workshop activities that we can put to use every time we need to solve a problem, research a given reality, find innovation, or map a business landscape. Everything depends on the context and task at hand. I’ve never been to a gym. Somehow, I know that the good intentions at the beginning will weaken and be scattered to the winds as real life butts in. The abandoned new year resolution is a cliche for a reason! But I do care about being healthy.